Only the official form of the UPLB-UHS may be used (download UHS Pre-enrolment Physical Examination Report Form at https://facebook.com/uplbuhs). The attending physician should be accredited in a reputable hospital, whether government or private, or in any health service of the U.P. System. This should be reflected in the letterhead. If during the PPE, the student has been found to have a medical illness and needs treatment, e.g. PTB, prompt intervention is encouraged and eventual certification of fitness to enroll from a pulmonologist or disease specialist is required. If during the PPE, certain medical conditions are detected, e.g. thyroid mass, breast mass, severe scoliosis, heart disease, etc., these should be immediately referred to a specialist. In this case, the student will present to the UPLB-UHS two medical certificates regarding his / her fitness to enroll: (1) from the attending physician; and, (2) from the specialist attending to the specific illness. The medical certificate together with the original or certified true copy of the chest X-Ray and CBC results must be attached to the official form with the chest X-Ray plate or chest X-Ray printout. If all the above have been complied with, the enrollee will just have to undergo validation of documents by our Medical Officer. ONLY the UPLB-UHS Medical Certificate will be honored by the University Registrar. The physical (medical) examination will not, in any way, deny the student his rightful slot for enrolment. However, any delay in the treatment or management might delay his / her enrolment until the medical condition has been addressed. 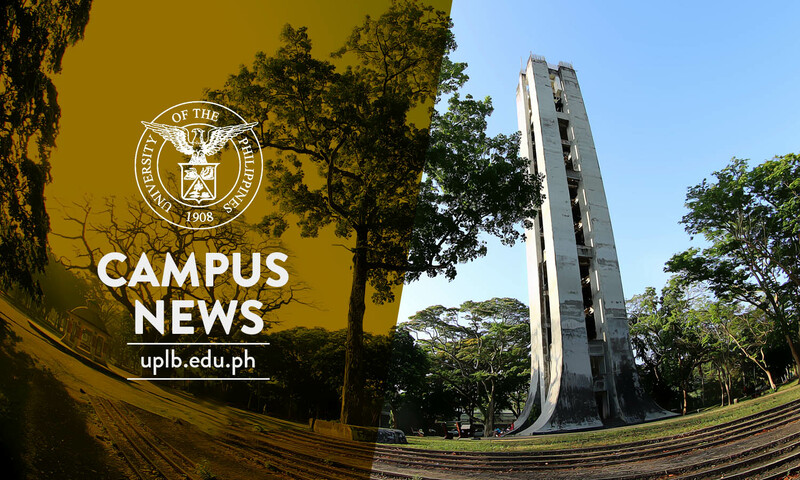 Hence, in case of pending fitness status from the non-UPLB-UHS attending physician, it is still strongly advised to go the UPLB-UHS for validation. Validity of the chest X-ray and CBC will be at most three (3) months prior the scheduled date of the PPE. At the UPLB-UHS, the chest X-ray fee is at UP student rate of P165; while, CBC fee is at UP student rate of P 164. The PPE or validation, on the other hand, is free-of-charge. You are expected to bring your immunization record during your PPE or validation. To avail of these discounted rates, you are required to present your Notice of Admission and Registration Instructions. Cut-off time is as follows: Chest X-ray: 8am-11:00am; 1pm-3pm; CBC: 8am-11:00am; 1:00pm-2:00pm). Schedule for diagnostic examination will be on May 14 – June 21, 2019 and physical examination will be on June 17 – June 28, 2019. Further instruction regarding individual schedule for PPE or validation will be sent to the student. For those who will be unable to come on the specified PPE or validation schedule, your next option is to come to the UHS on the same date as your scheduled registration. However, please anticipate a heavier flow of students on your registration date that may cause a delay in your registration. You will be required to present this copy of the registration instructions for verification of the assigned registration date. For clarifications, please feel free to contact the UPLB-UHS at telephone numbers (049) 536-3247 or (049) 536-2470, local no. 109 and look for Nurse Marissa M. Ramilo from Monday to Friday during office hours (8:00am-12:00nn; 1:00pm-5:00 pm), or message your concerns at https://facebook.com/uplbuhs. 2. After securing the medical clearance, proceed to the Office of the University Registrar (OUR) for your registration/enrollment, which is on (indicated on the admission documents to be sent thru email/postal mail). IF FOR JUSTIFIABLE REASON YOU FAILED TO REGISTER ON YOUR SCHEDULED DATE OF REGISTRATION, YOU ARE GIVEN UNTIL JULY 10, 2019 TO REGISTER, OTHERWISE YOUR SLOT SHALL BE FORFEITED. d) Two photocopies of birth certificate issued by the Philippine Statistical Authority (original copy should also be presented for verification purposes). Discrepancies in the birth certificate (i.e. date of birth, incorrect spelling of first name, or last name is different from what is being used), should be settled prior to the enrollment/registration day to avoid problems. Baptismal certificate and certificate of live birth from the hospital will not be accepted. Properly accomplished student directory form. (See attached UPLB OUR Form No.3). Three (3) identical 1 x 1 ID pictures (Please write name and college at the back of the pictures). 4. Have your ID picture taken at the ID room, OUR lobby, G/F CAS Annex I Building. 5. Claim your ID at Window No. 10, OUR lobby, starting on August 5, 2019. All entrance credentials should be photocopied especially your Form 138 and admission notice for your personal file and other purposes before these are submitted to the OUR. All original credentials will become part of your permanent record in the University. Your signature on all records must be uniform. Use your legal name, not your nickname, on all registration forms. 12:30 – 4:30pm – If your enrollment is in the morning attend the afternoon and vice-versa. Please bring one copy of recent 2X2 photo. Write your name, address, course and signature at the back. Please call telephone number (049)536-7255 for the details of the said activity.